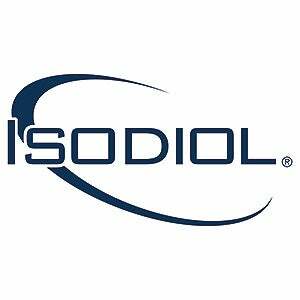 Isodiol creates pharmaceutical-grade, pure, natural CBD and is a contract manufacturer and brand developer of CBD consumer products. It also has sports performance products for athletes through its subsidiary, ISO-Sport. There is a proliferation of misconceptions that CBD only works when combined with THC, or if terpenes and other plant material are present. There are well over 1,000 case studies that prove this to be incorrect and the World Anti-Doping Agency’s (WADA) recent ruling on CBD is also an indication that CBD as a pure, natural molecule works without THC or the entourage of other cannabinoids and terpenes. Isodiol is driving innovation across various sectors of the cannabis industry. Recently we partnered with Altis to introduce the Iso-Sport Living Lab, a collaborative partnership with educational institutions, private businesses, coaches, researchers, and more than 100 athletes and Olympians from around the world aimed to investigate the impact of CBD on various areas of athlete health and performance. Through this partnership, we will develop innovative products that will improve the recovery and performance of athletes and show consumers around the world the benefits of CBD in sports. As a THC-Free company that only works with hemp, banking and insurance has been and still is the biggest hurdle we face as a company today. We believe the lack of education in the risk departments of these institutions causes unnecessary road blocks for companies such as Isodiol to thrive. However, through our innovative products and strategic partnerships, we are confident that we will continue to work toward knocking down those barriers and educating the world on the benefits of CBD. As an industry that has yet to be created, this is a movement with an economy attached to it. As global regulations for hemp and marijuana become standardized abroad and regulations are no longer a moving target, a real industry will be born. Being at the forefront of this movement and helping to pave the pathway for decades to come is one of the most favorite aspects. Our customers are the true inspiration! Reading positive comments and emails about how we have changed the lives of those in need when they felt as if they had no hope or alternatives to traditional medicines inspires the drive and commitment to do only the best at Isodiol and continue to create new advances with CBD.